Javed F, Al-Kheraif AA, Rahman I, Millan-Luongo LT, Feng C, Yunker M, Malmstrom H, Romanos GE. "Comparison of Clinical and Radiographic Periodontal Status Between Habitual Water-Pipe Smokers and Cigarette Smokers." Journal of periodontology.. 2016 Feb 0; 87(2):142-7. Epub 2015 Oct 02. Holkova B, Kmieciak M, Bose P, Yazbeck VY, Barr PM, Tombes MB, Shrader E, Weir-Wiggins C, Rollins AD, Cebula EM, Pierce E, Herr M, Sankala H, Hogan KT, Wan W, Feng C, Peterson DR, Fisher RI, Grant S, Friedberg JW. "Phase 1 trial of carfilzomib (PR-171) in combination with vorinostat (SAHA) in patients with relapsed or refractory B-cell lymphomas." Leukemia & lymphoma.. 2016 57(3):635-43. Epub 2015 Oct 12. Malmstrom H, Dellanzo-Savu A, Xiao J, Feng C, Jabeen A, Romero M, Huang J, Ren Y, Yunker MA. "Success, clinical performance and patient satisfaction of direct fibre-reinforced composite fixed partial dentures - a two-year clinical study." Journal of oral rehabilitation.. 2015 Dec 0; 42(12):906-13. Epub 2015 Jul 14. Author List: Feng, C., Pan, H., and Han, Y. 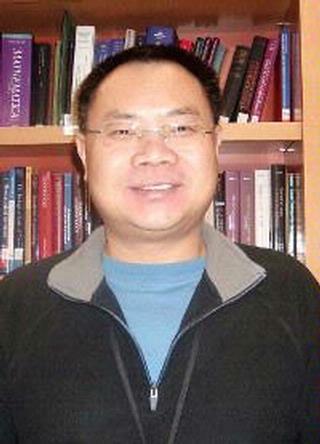 Author List: Lu, N., White, A. M., Wu, P., He, H., Hu, J., Feng, C. and Tu, X. M.
Book Title: Modern Clinical Trial Analysis. Author List: Feng, C., Han, Y., Wu, P., and Tu, X. M.